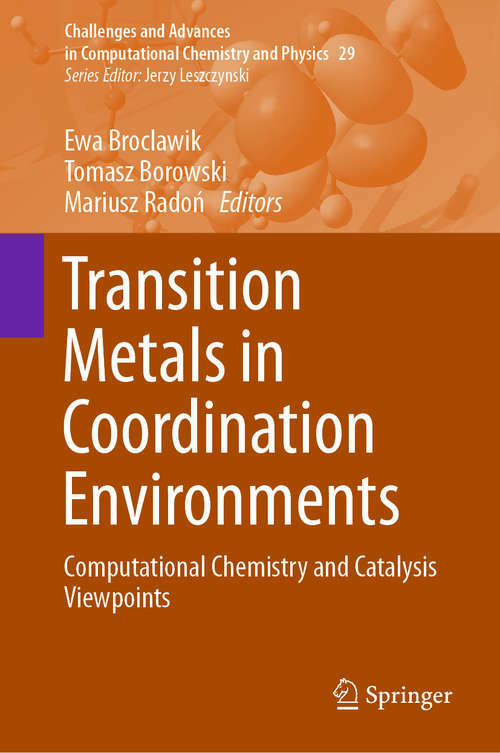 This book focuses on the electronic properties of transition metals in coordination environments. These properties are responsible for the unique and intricate activity of transition metal sites in bio- and inorganic catalysis, but also pose challenges for both theoretical and experimental studies. Written by an international group of recognized experts, the book reviews recent advances in computational modeling and discusses their interplay using experiments. It covers a broad range of topics, including advanced computational methods for transition metal systems; spectroscopic, electrochemical and catalytic properties of transition metals in coordination environments; metalloenzymes and biomimetic compounds; and spin-related phenomena. As such, the book offers an invaluable resource for all researchers and postgraduate students interested in both fundamental and application-oriented research in the field of transition metal systems.